Work in Progress | Azazel's Bitz Box. 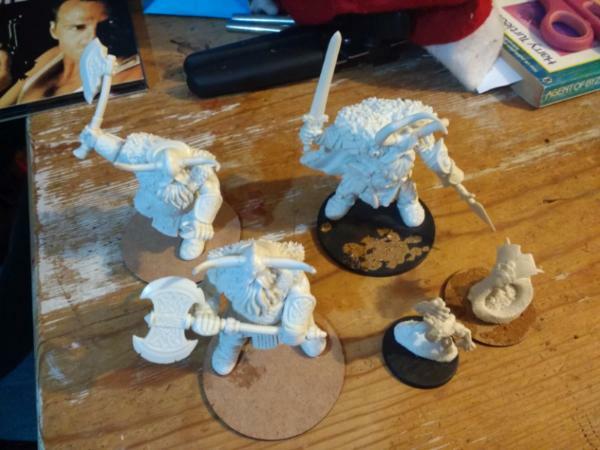 Painting Reaper’s Bones Goremaw – Looking for Feedback. I’m kinda stuck on Goremaw here. 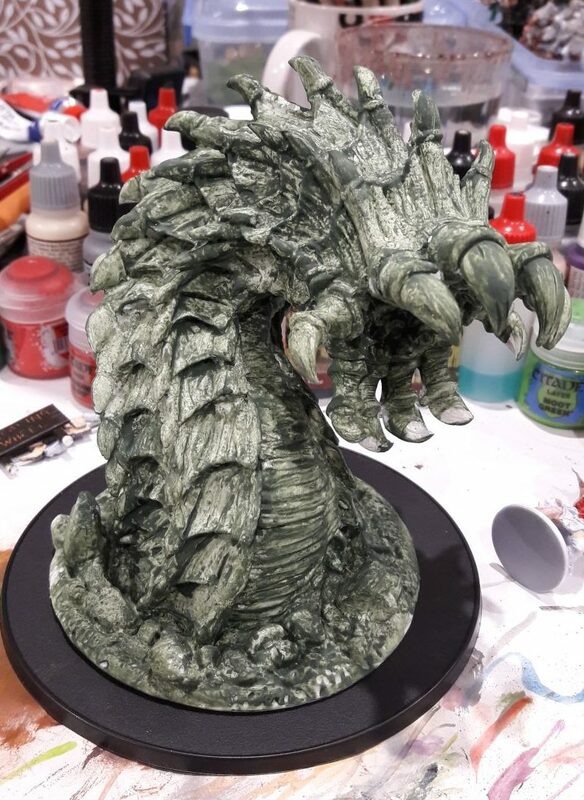 After seeing Dave Kay’s painted up as part of Painting Decembruary, I decided to get mine prepped for painting by getting it assembled, then “priming” it in watered down Liquid Greenstuff to cut down on the horrible, sticky, tacky reaction that Bones PVC seems to have with model paints as well as spray primers. So now that’s finally done. 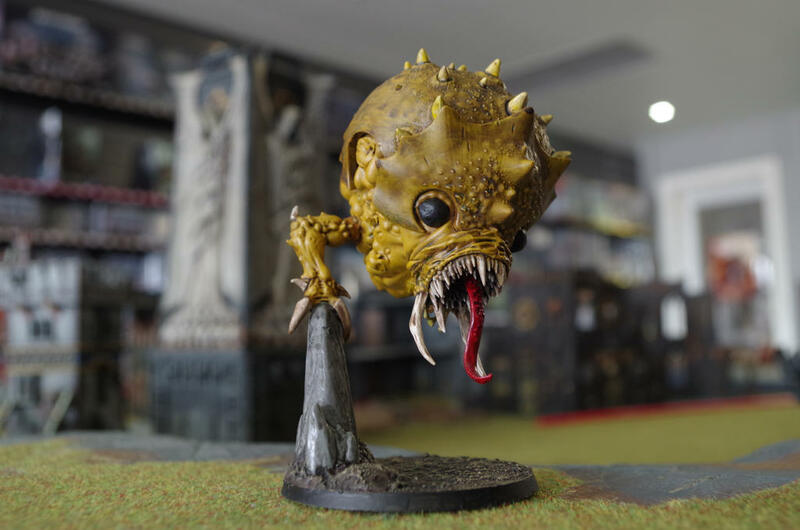 Then there’s working out what to do with it – using the stats for the Forge World Dread Maw in Age of Sigmar and perhaps the Spined Chaos Beast for 40k seem reasonable. 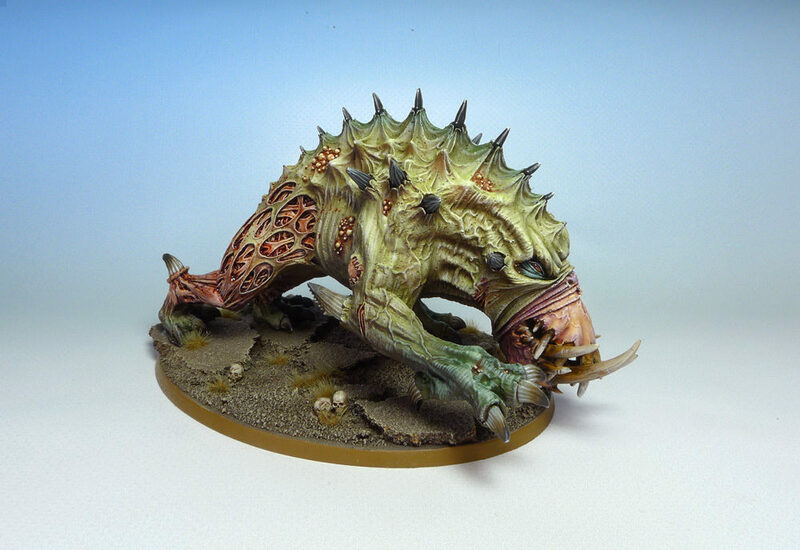 As well painted as the official Spined Chaos Beast is in the above photograph, it’s a pretty awful model, so I have no particular desire to purchase one or track one down. So Goremaw will fit that nicely enough. 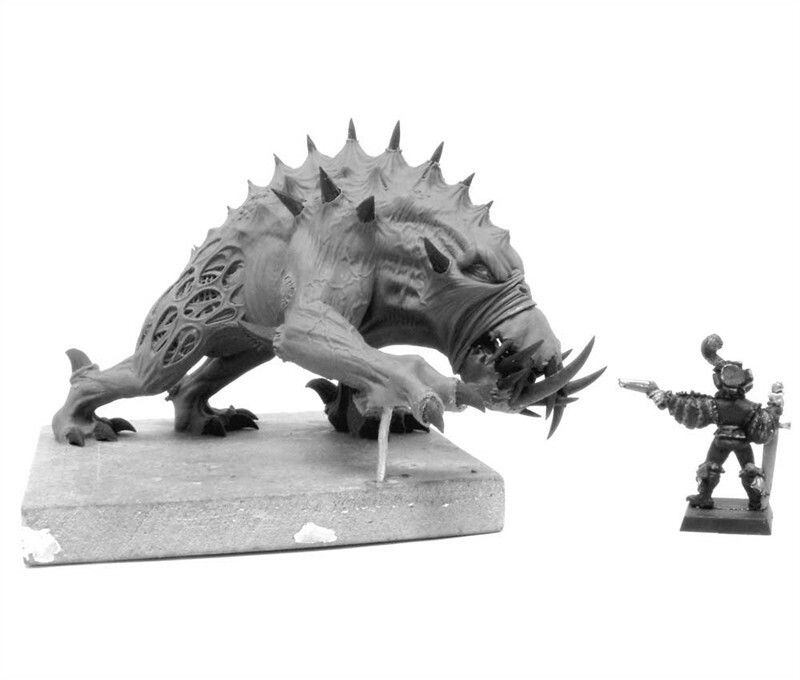 So we’ve got the use and stats sorted, but how to paint? I’ve already done Purple Worms. 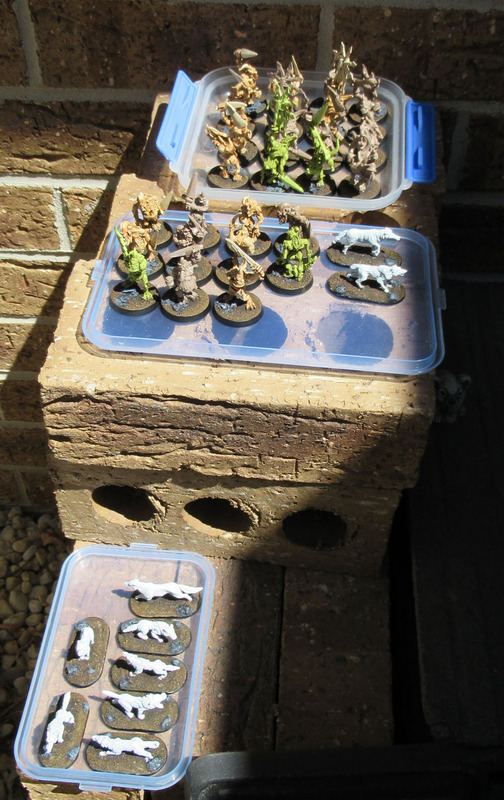 I’m very happy with them but don’t wish to revisit that scheme with Goremaw. 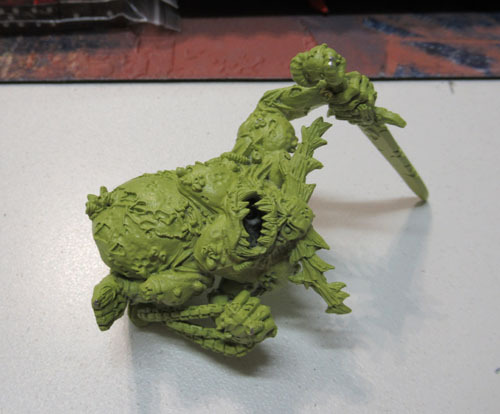 I could go Nurgle-themed, which would be green carapace with yellowish-ochre underbelly and purplish-red mouth. Broadly similar to the Shadows of Brimstone Burrower. Also has the benefit of looking somewhat naturalistic. Maybe. 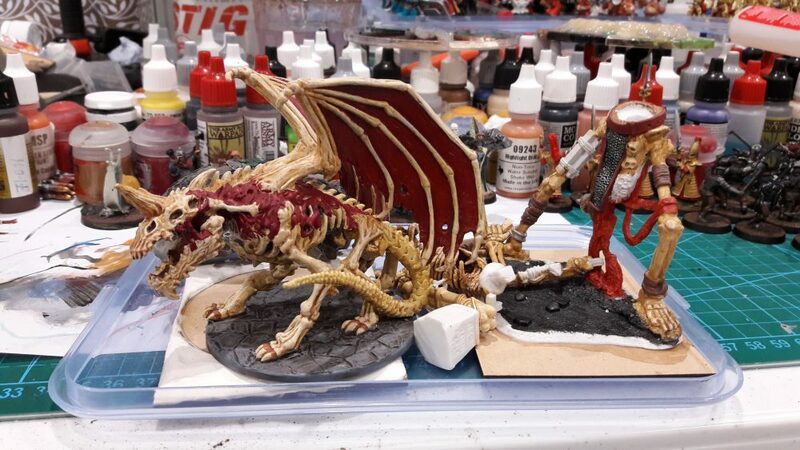 Khorne? Deep red or orangey-red, again with a yellowish-ochre underbelly and either crimson or purplish-red mouth. Also quite a “dragon-y” look. I guess the green one could also say that to an extent. Maybe. Tzeentchian? Blues.. nah. Too close to the purple that I already want to avoid. Slanneshi? Some sort of pastel look? Pink? Nah. “Undivided” so I can run it in any/multiple force? 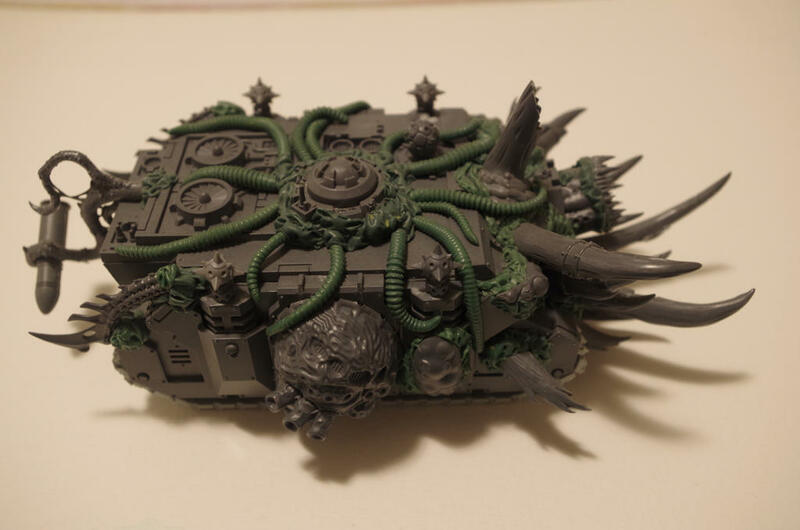 Black on the carapace and fleshy underside somewhat like my (still unfinished) version of Be’Lakor? 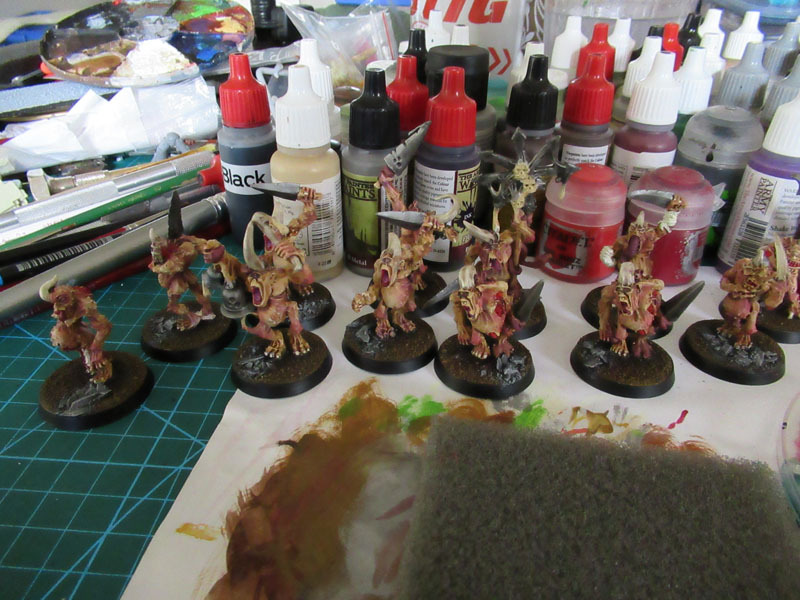 I think either black/flesh for Undivided, or green/ochre for Nurgle or red/ochre for Khorne. But I’m still not sure. Anyone else have any thoughts or arguments for any of those three? Any way-out ideas? (be warned, I’ll probably disregard most of those, but I am open to ideas) if so, please do leave a comment, though be aware, it’s not a poll! 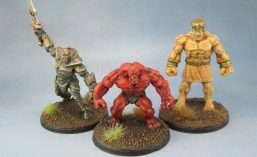 A little over a week ago, Westrider commented on the simple February community painting challenge I set up, and mentioned a thing called Squaduary. 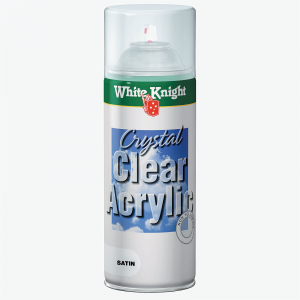 This is a “Paint a squad entirely during Feb” challenge. 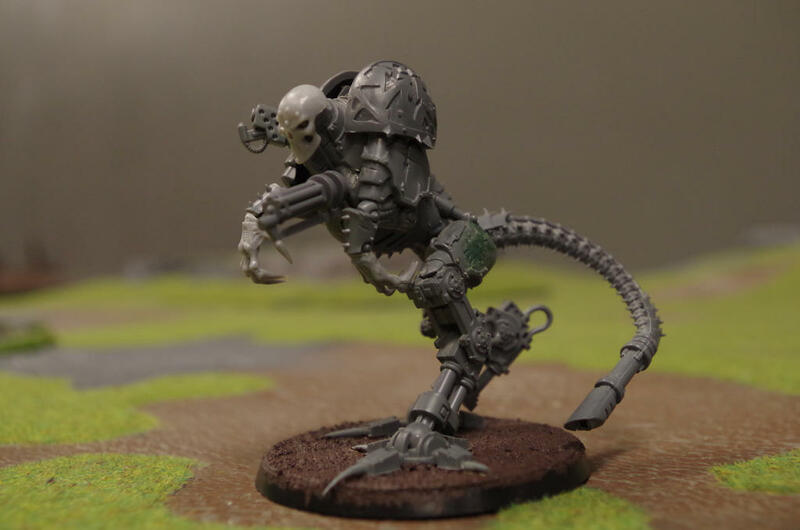 Now usually, I’m working on stuff started long before, but as I already had plans to work on my metal Plaguebearers, I decided “why not” and to attempt to see if I could get them painted entirely during February. 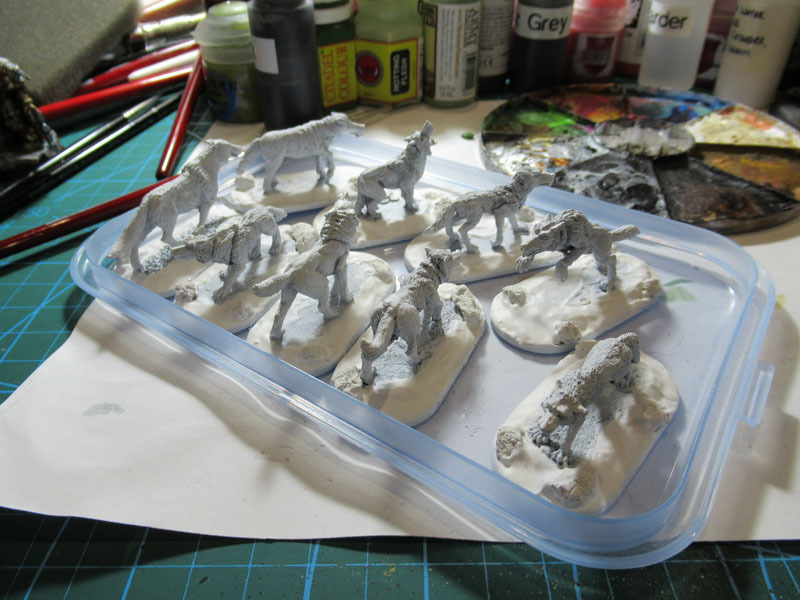 For good measure I also got to work on some Wolves that had been sitting around for awhile. Now, this has been (and will be) far from the only set of models I work on this month. There’s also my models for the Fembruary challenge, not to mention a few more Neglected Models, and you know – just random stuff I want to get completed – and and I’ve got plenty of other stuff to post up, so Squaduary updates will be pretty much whenever I get to them. I’m also not good with WIP updates, as there’s usually quite a lot of time between me taking a photo and then writing a post, and then even for the post to be published (since I have other stuff to post up- and right now I have both a queue and a backlog), so the images are often out of date before they go up. I’ve been following the final suggestion of ignoring the lot, Eric Cartman style. 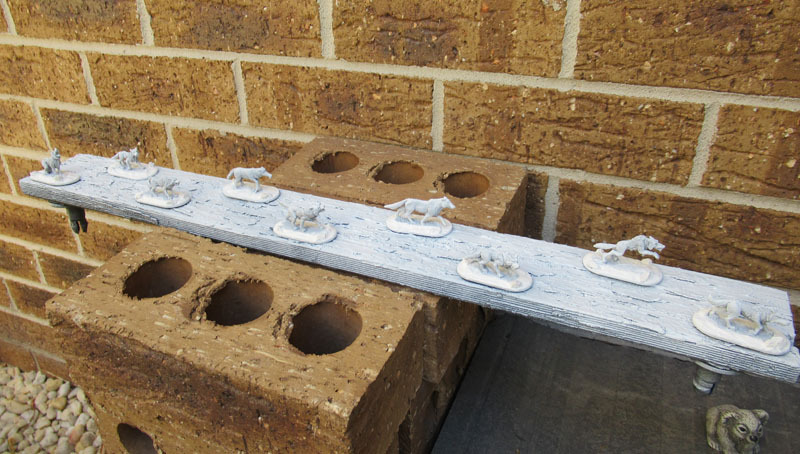 Because that’s how I roll when I paint my toy soldiers. SRS BZNSS. 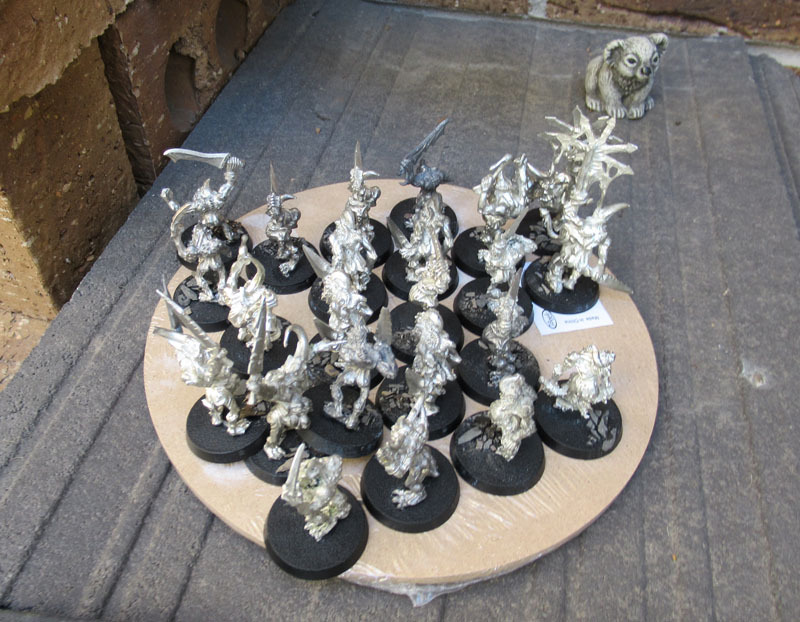 The total numbers are 27 Plaguebeaers and 9 wolves. 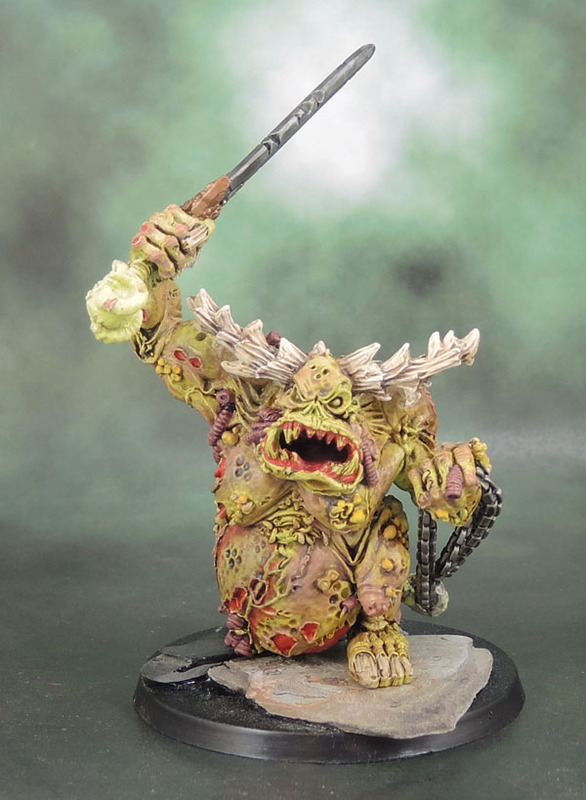 The 27 Plaguebeaers will be merged with and then regrouped from the 14 I’ve already got painted, giving me 4 squads of 10 and a variety of flesh tones across the 4 squads. Or 2 squads of 20 plus a Herald, or… whatever. You get the idea. 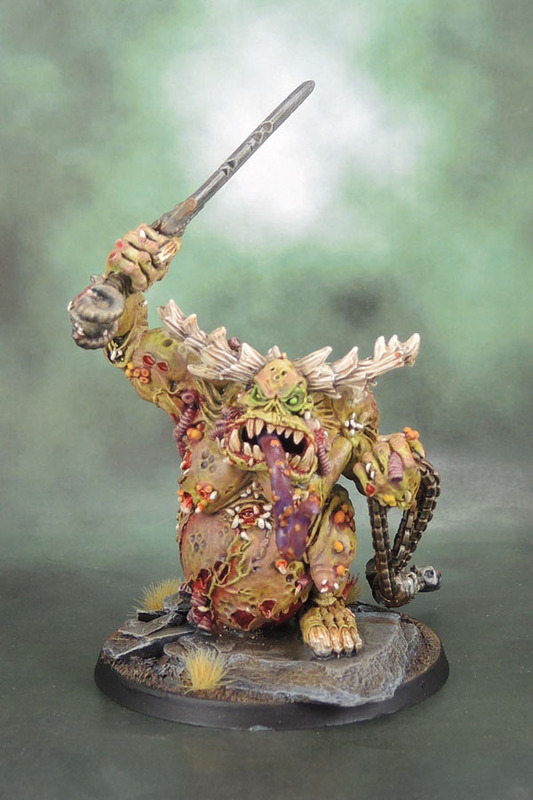 I’m just sorely disappointed that Chaos Lesser Daemons don’t come in their patron’s sacred number. (Multiples of) 7 in this case. 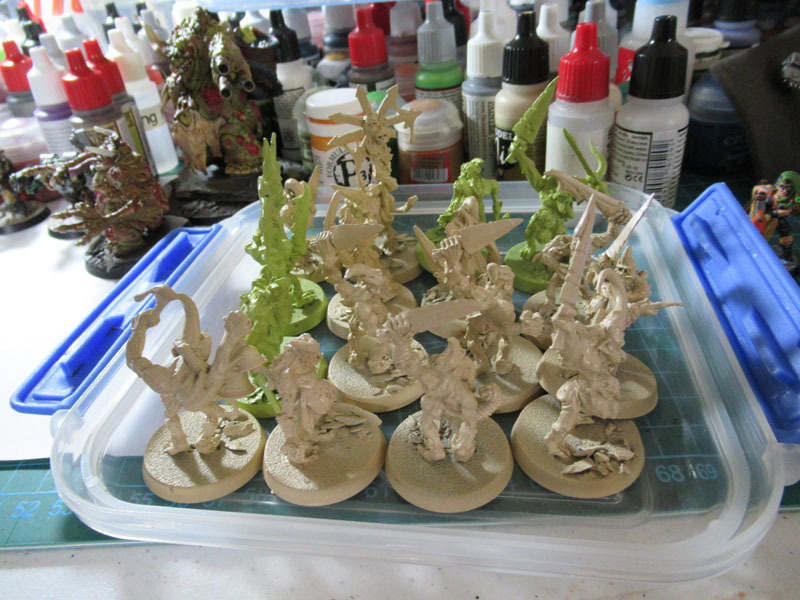 Once these metal plaguebearers are all done, I’ve got some resin Nurgle toys I want to get sorted out. I also need to search for those bloody metal Beasts. I’d have liked to post this up in some form earlier, but I’ve been flat out just getting all of January’s finished models photographed and posted up, along with the Decembuary Round-up. I especially wanted to post the round-up a few days after the end of the month. 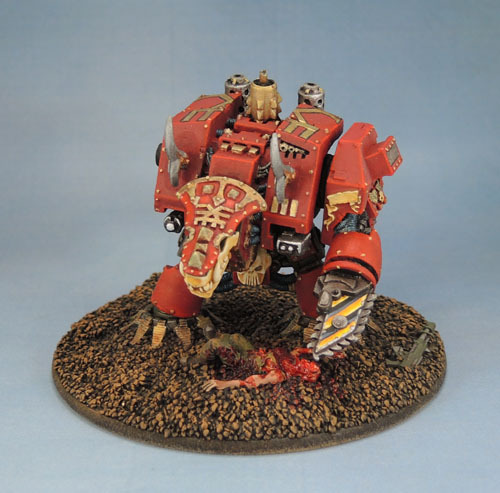 I participated in Dreadtober last year, and aside from barely getting a mention on their page because WordPress and Blogspot don’t play well together, they published the round-up at the very end of the month and the “latecomers” post like three days later. 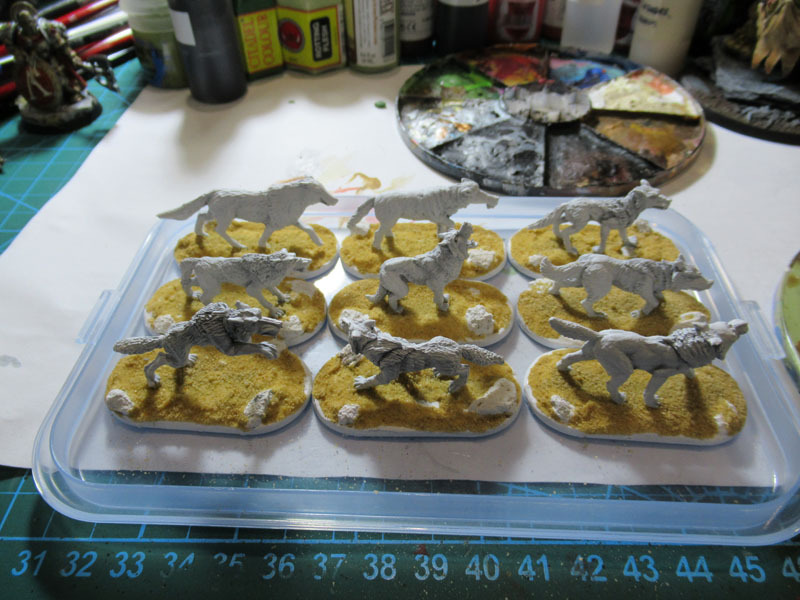 I finished the models on time (note: Plural), but didn’t have time to post or photograph my models as a wrap-up for a few extra days, so I missed out on inclusion and when I sent them a link to my final completed models it was ignored. 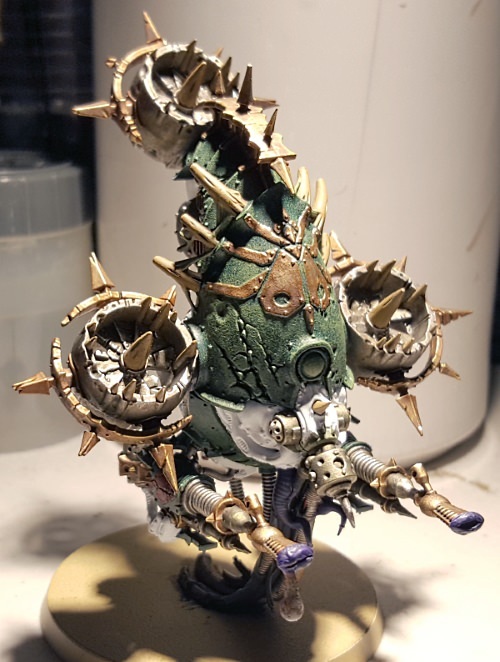 Aside from still being a little pissed off and bitter about that on a personal level, it also motivated me to not do the same thing, and give people a chance to finish painting their models for the challenge on the last day, and not feel obliged to run outside to photograph them and post on their blogs the very next day. So to close that tangent, I wanted to finish up on all of January’s posts before even starting on February’s. 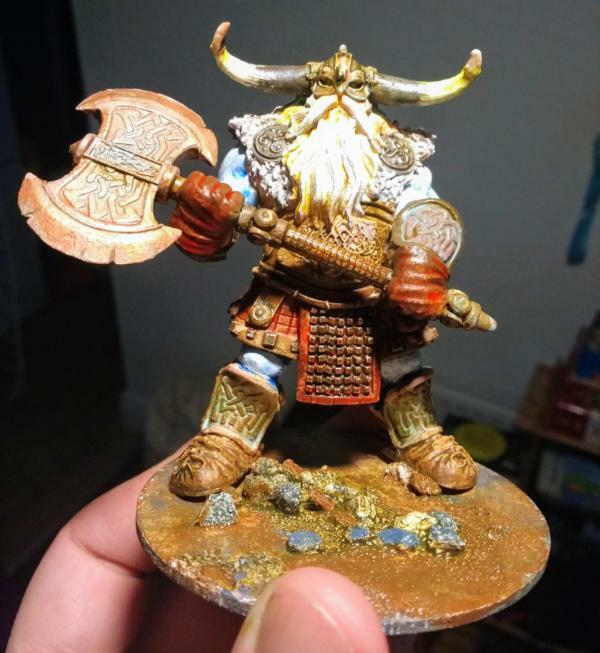 Hence my “Neglected Figure Challenge” figure that I actually finished on Feb 1st got published yesterday – on Feb 8th and this post about my participation in this February challenge coming now. 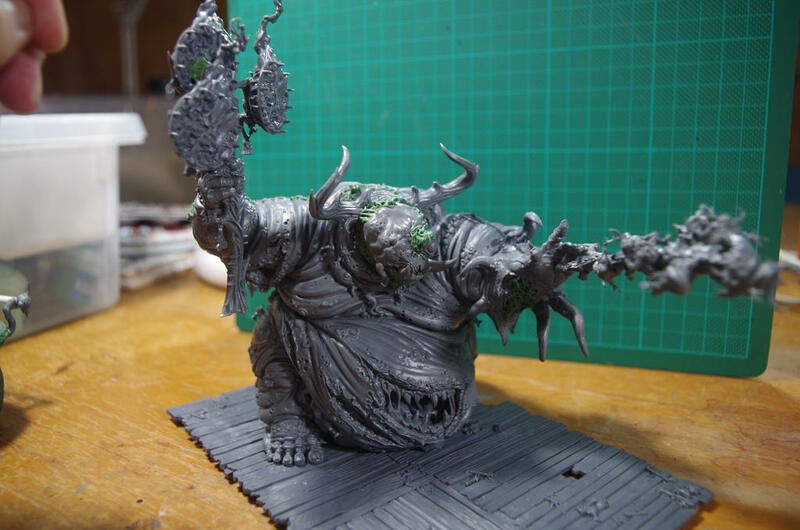 Still, giving it some time allowed for some actual progress photos, and Squaduary can’t hurt my motivation to get these Plaguebearers done. Further, any PBs or Wolves I don’t manage to complete this month will dovetail nicely with Squad: March! 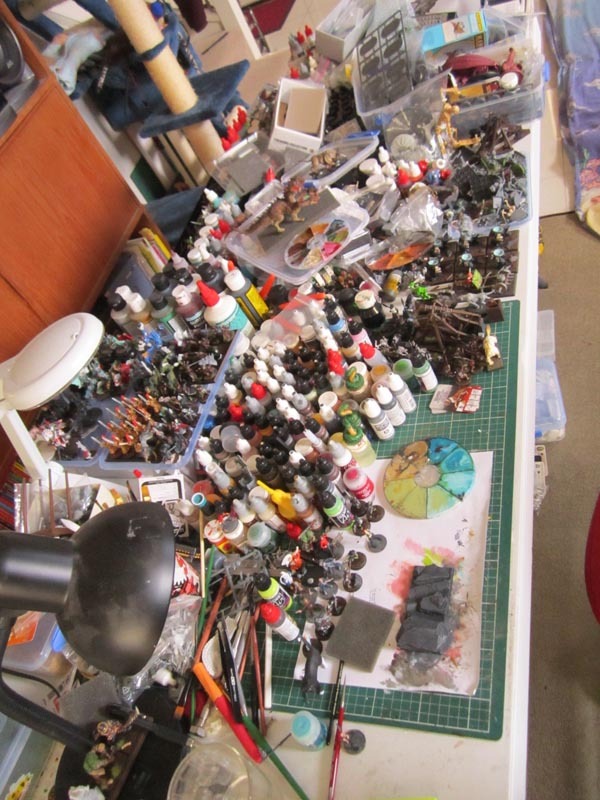 which will be the ABB hobby challenge following Neglected February. 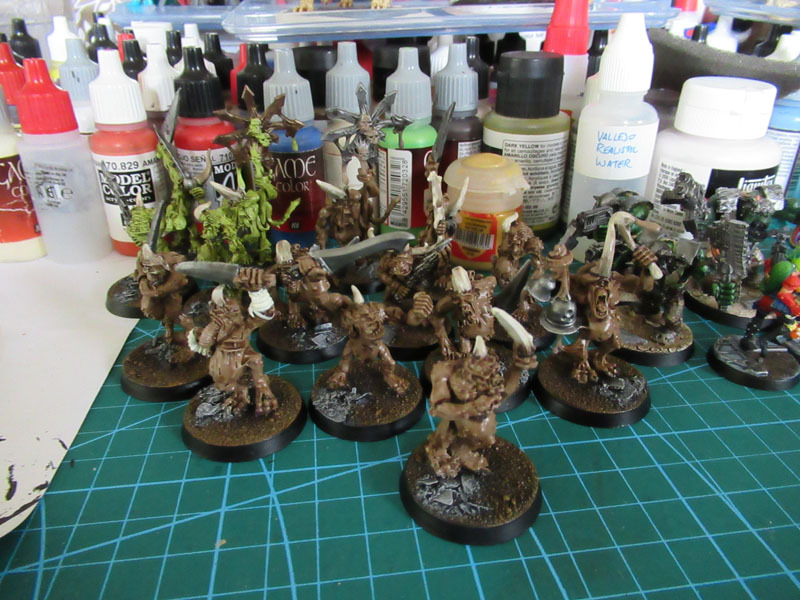 Since March’s challenge will only be concerned with finishing squads (or units) and not care when they were started, I can almost guarantee that these will all be done by then if I fail to get them all done during Squaduary.